There’s one thing I feel truly blessed to have in my life, and that’s my springer Millie Moo. My heart is forever bursting with love. She’s my world, and I’ve also found my work becoming a doggo world. This can only mean one thing, I am winning. On Tuesday 26th March my alarm went off at 4am. I wonder if Moo Moo was just as surprised as me with the frost and chorus of birds giving it their all. Surprisingly fresh-faced for the day, I kissed Mills, said I love you (I do this every day), and hit the road for London. I have to admit, it was a bit of a sensory overload arriving at Liverpool Street at 7am. How was it already a hive of activity? The escalators and digital screens dashing by dished up that slightly icky feeling which I know I’d get from a teacup ride. Actually, a park swing even. Emerging above ground, I wandered around Covent Garden looking for the Icetank. Should have just followed my gut. Stupid phone maps. After a couple of loop-the-loops I found Grape Street, and with an eye out for Icetank branding, nope – there in big letters on the doors, PitPat Life. Greeted by friendly faces and members of the PitPat Pack, I was shown downstairs to the Prize Zone. iPad Pro and pencil out, plus a pile of pawtrait reservation cards, I was ready just in time for the doors to open at 8am. Downstairs with me, guests could view the PitPat Life prizes which you win as you accrue points, have photos taken and do a weigh-in. Totally had my eyes on that gold PitPat! So, basically I’m one of the prizes! 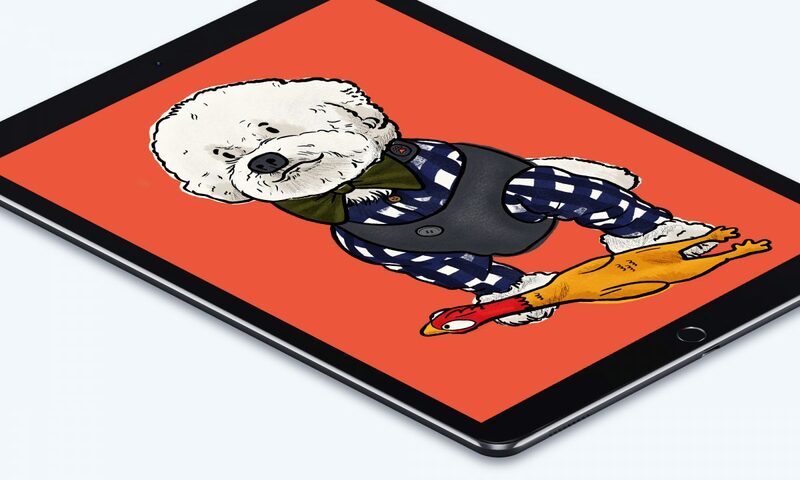 When 25,000 points have been achieved, members receive a pawtrait of their dog in a style that I developed for PitPat. At the launch event however, you could get a free pawtrait as a treat. Below are a few I did before the event for Puggy Smalls, Barrie the war dog and Victoria Dunsdon’s Alan. I went upstairs to begin with as hoomans and hounds enjoyed a mouth-watering breakfast and chatted before talks. 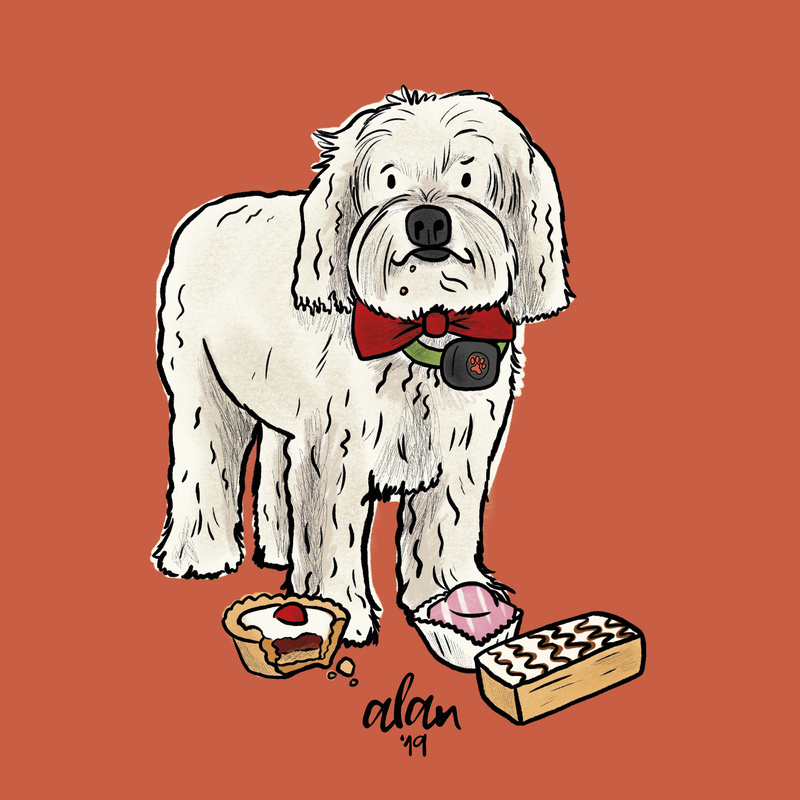 The first dog I met was the bichon frise, Bobby – sporting a tweed waist coat and dicky bow, he was so soft and quite the gentleman. I also met Kiki, a Toy American Eskimo. Brilliant white like the event space, the little lady was next in line for a pawtrait. As everyone got acquainted, I went down to my table and got cracking on a pawtrait of Bobby (main image). After speeches from PitPat founder and CEO Andrew Nowell and Rory the Vet, paws and feet started coming downstairs. People could see the work in progress as well as some framed pawtraits I’d done prior to the event. First came Fergie the bulldog and Sarah, then Peanut the dachshund (great to cuddle) and Mikeala, followed by Coco the cockapoo and Suzanne. I then met a dog rescued from Romania, Goldie, and Nina. I loved hearing about Goldie’s ways and I’m pretty sure it was then that I heard, I’m a one-dog-at-a-time person. My dad is always saying I should get another dog because I love Millie too much. 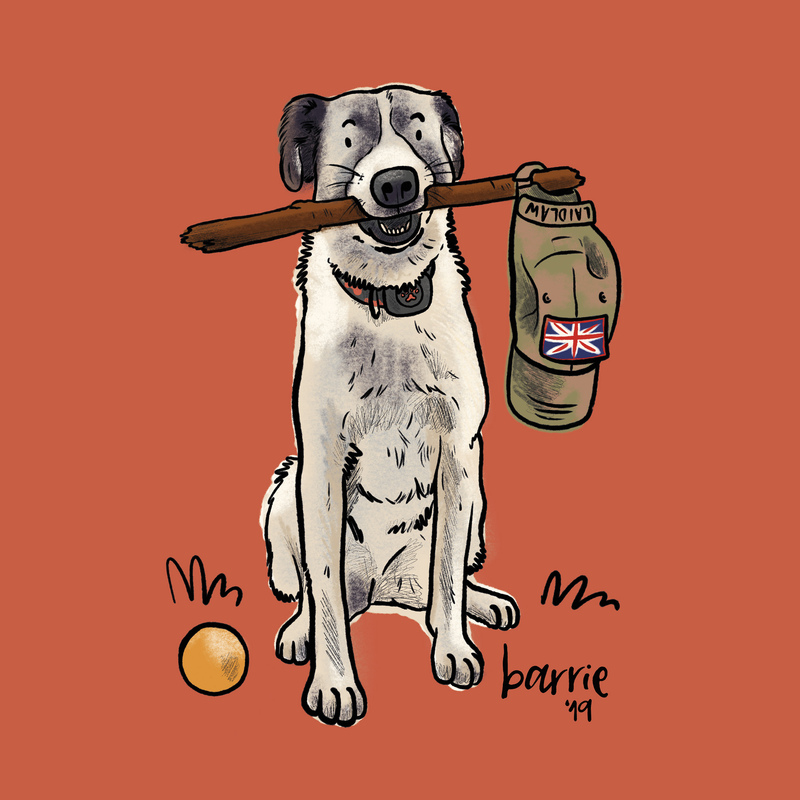 It’s not that I couldn’t manage more dogs, just that, I’m in love with Millie! All these guests were nothing but devoted to their hounds. There was also Joy the interior designer dog and Sonia, Bramble the border terrier and Jodie, Kevin the french bulldog and Jack, Harvey the lab and Beth, Charley Pooh the cavapoo (cool rainbow hair) and Lesley, and Amber the cavachon and Ellie. Puggy smalls also came down, Victoria who has Alan, Cally who has Freddie the yorkie, and Rocky the Irish terrier and Caramel. I also have a pawtrait reservation for Milo the Manchester terrier and Lottie, but we didn’t get to meet. It really was an absolute pleasure to mingle with so many lovely people and their A-list celebrity pooches. After a fab morning, I went home to Millie (below) with a PitPat Life box in hand. Yes, we are now proud Founder Members! So what is PitPat you ask? It’s the UK’s no.1 dog activity monitor. If you’re curious about just how healthy your dog is, you should definitely get one! It’s a neat device that you attach to your dog’s collar, and it sends data to your phone app telling you just how much exercise they’ve had each day. Woofin marvellous hey! It’s also breed and age specific, so it lets you know how much exercise your doggo should have. I’ve had one on Millie for several months – I got her in the summer but I’ve been lucky enough to collaborate with PitPat for almost a couple of years now. Since I’ve had Millie, I’ve worked with the Pack animating badges for the app. So far, I’ve seen the goal badges in action, but there are so many more for distances and bonus ones. They’re fun and I can’t wait to see them reveal on my app as Millie hits her daily goals. Why the launch event? 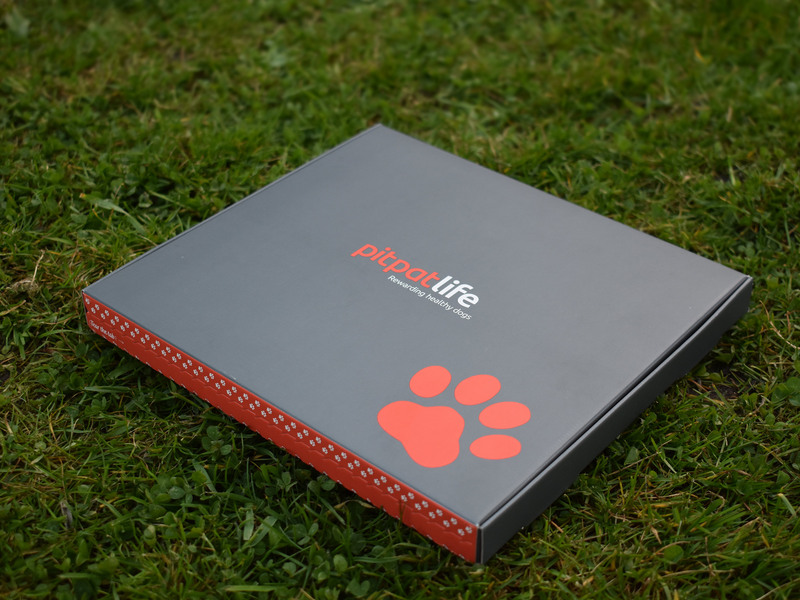 So PitPat have just launched PitPat Life. 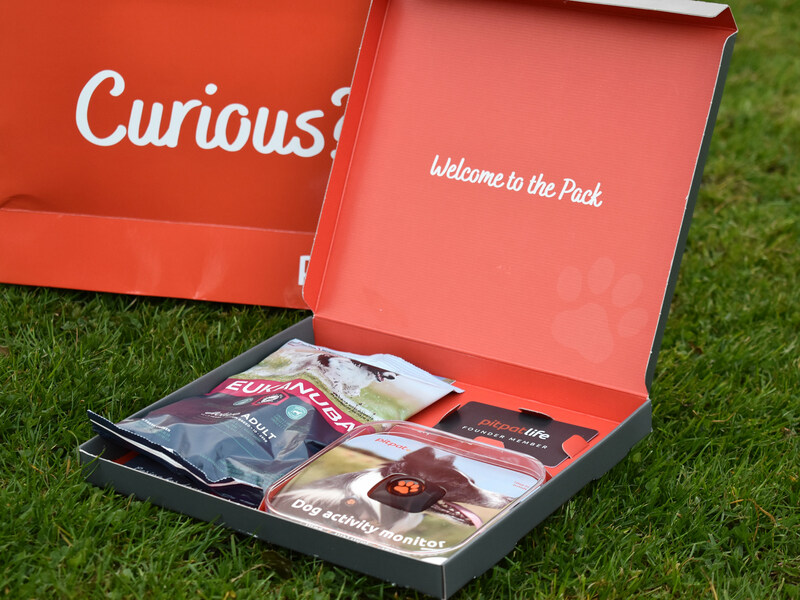 This is a monthly membership plan which rewards healthy, happy dogs and their owners through perks, points and prizes. 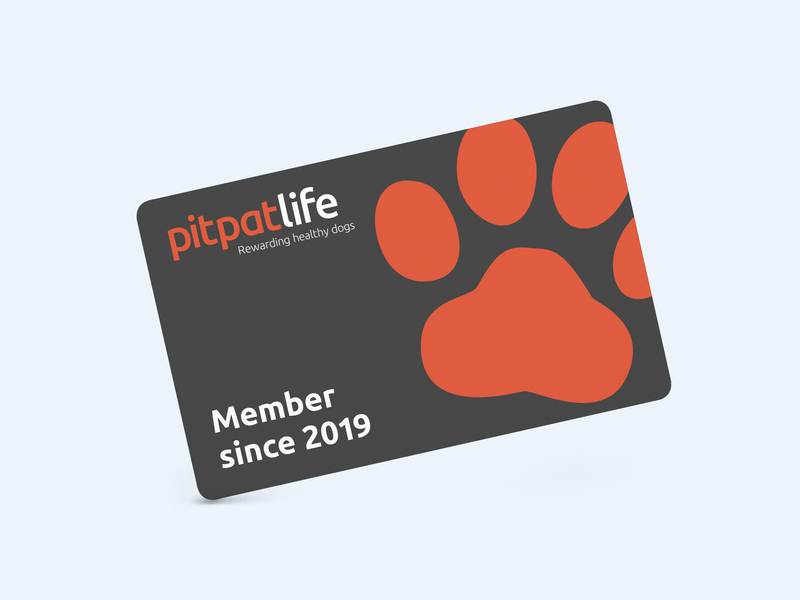 You can simply buy a PitPat, but if you join the club, you get so much more! 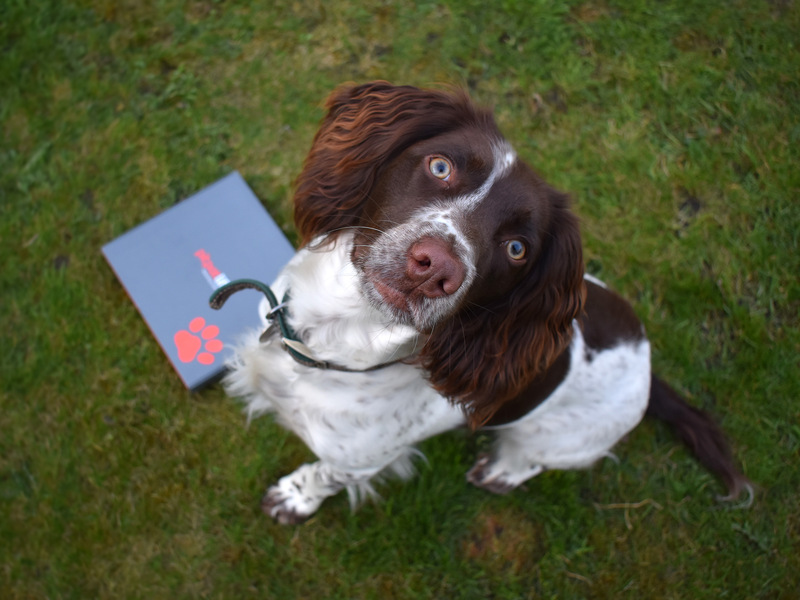 It’s the first scheme of its kind, supported by Eukanuba and More Th>n Pet Insurance. It really is a community of dog lovers. 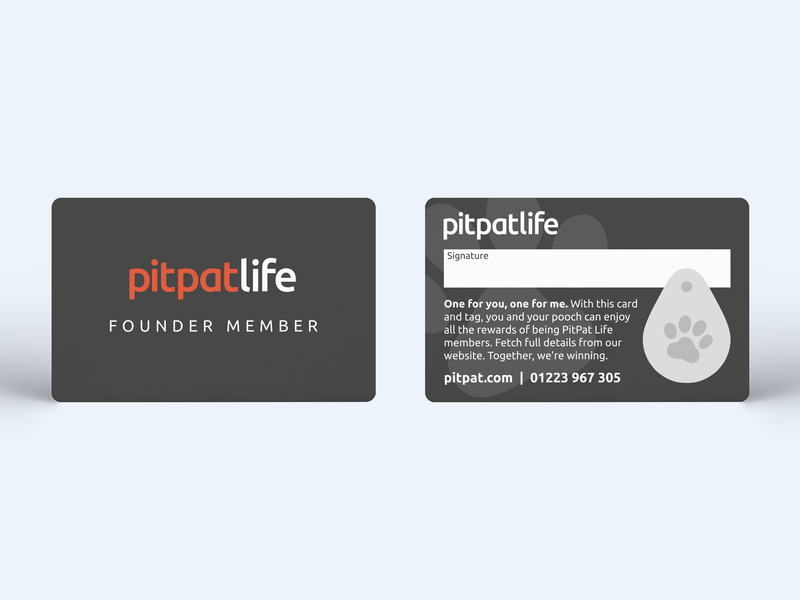 If you want to find out more, visit the PitPat website. 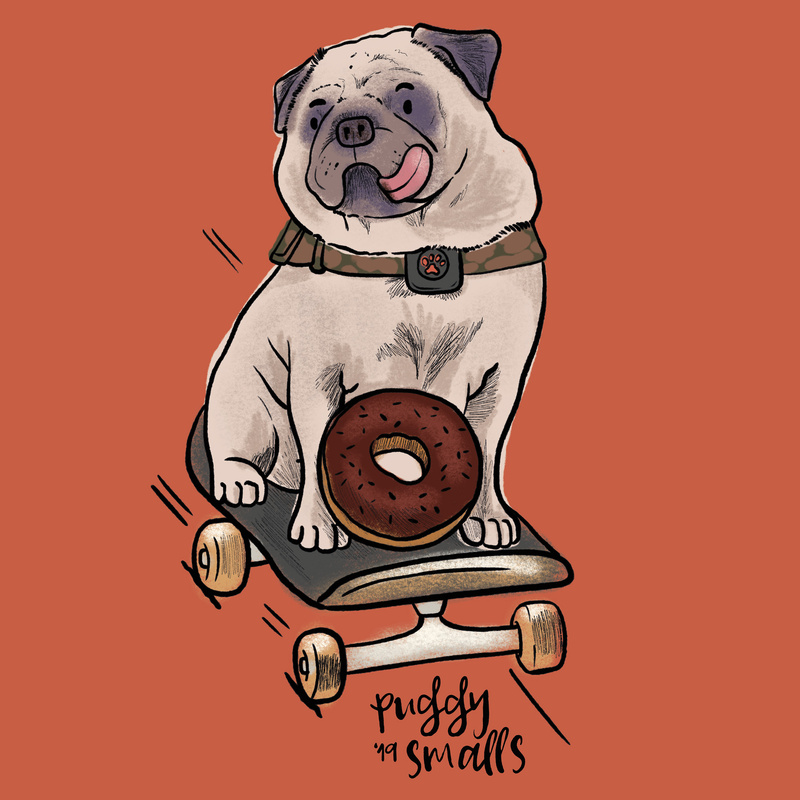 Although I only play a small part in PitPat’s journey, I love hearing what they’re getting up to and helping out with graphic design and illustration. I designed the membership pack and cards which you can see below. The launch event was part of London Dog Week 24th-31st March. With a dog-centric, sassy schedule, there’s been lots to enjoy. It’s been fun to follow and I think I’m now completely dog-brained. 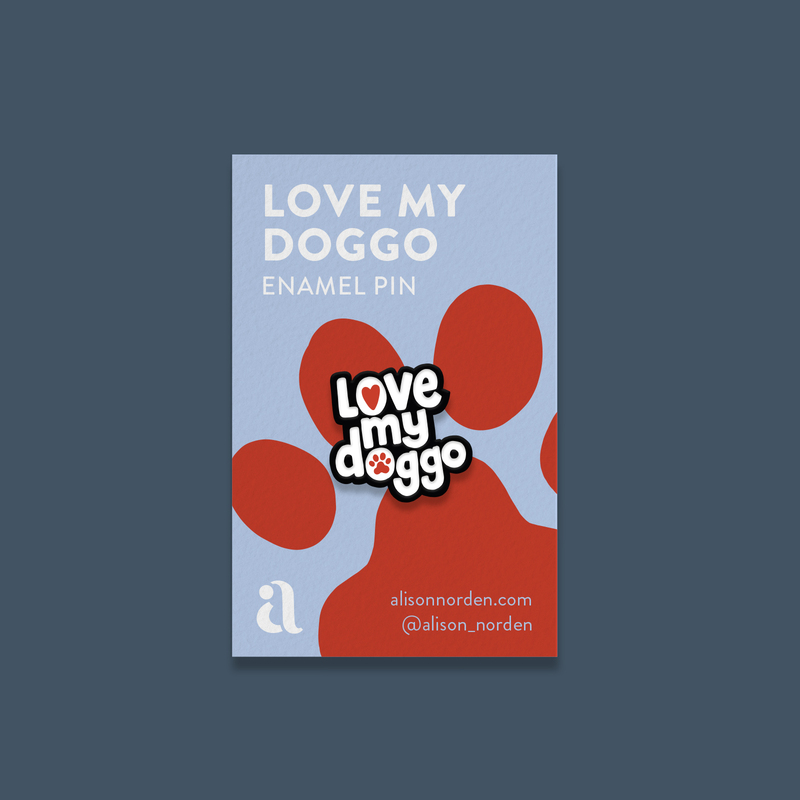 Friday night and I was toying with pin badge ideas for dog lovers out there. Stay tuned as I think I’ll be getting Dogs Rule made. And I can’t wait for DogFest in May which I’ll take Millie to! 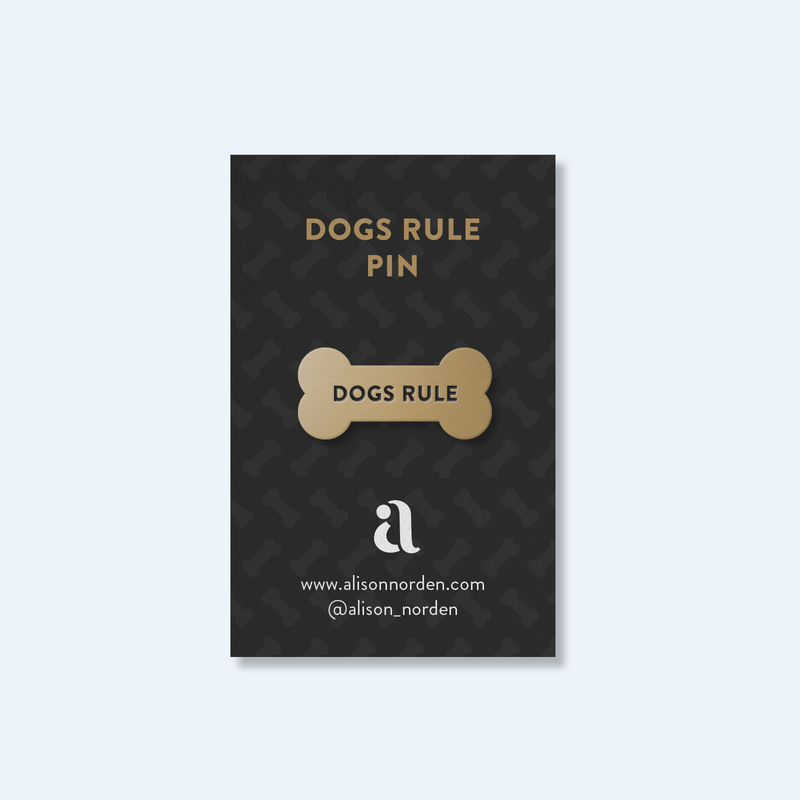 I’ve now made it my mission to work with more doggo brands. Totally hoping to collaborate with the likes of London Dog Week, StreetVet, DogFest and Guide Dogs… As for all the pawtraits from the launch event, keep an eye out next week!